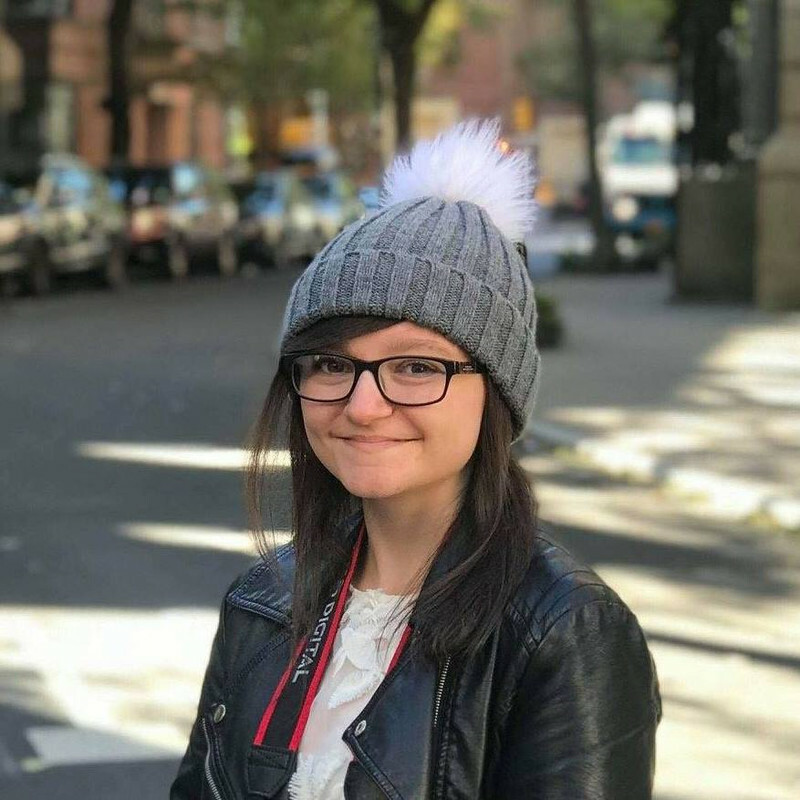 We all know that the Internet can be a dangerous place, especially for us bloggers who have to give out our personal details on a daily basis. 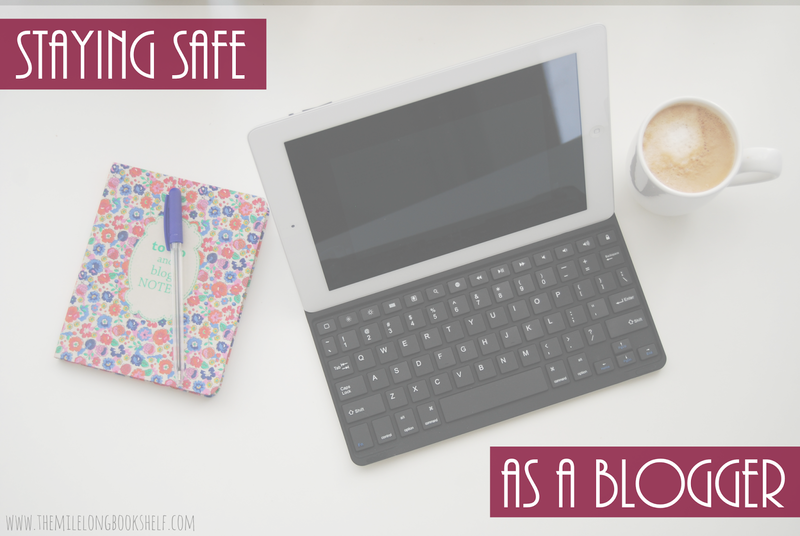 In the past, bloggers have been stalked *cough* Kathleen Hale *cough* and so I thought it might be good to share a few tips on staying safe as a book blogger - although this can apply to anyone who uses the Internet. We already know the basic tips (don't share your full name online, blah blah blah - we all do it, anyway) so I've come up with some that you might not have thought of. I've seen so many bloggers tweet photos of a pile of book post with the address label on the envelope clearly visible. I know, it's exciting getting book post and you want to show everyone immediately, so it's really easy to forget, but in doing so, you're freely giving away your address to thousands - potentially millions - of people. If you want to share a photo like that, I recommend covering up your address with a piece of paper, or blurring out your address with an app. Most social networking sites and apps give you the ability to switch on your location settings. If you do so, you're inadvertently giving away the address of your current location, which might be your home or the home of a loved one. It's so easy to accidentally do this on Instagram or Twitter. I'm always seeing fellow book bloggers posting photos to Instagram, and above the photos is the name of their location. All it takes is a simple tap, and boom - I now have a map on my screen with a pointer right over your current location, as do all of your other followers. I'm not going to do anything with those details, but there are many people who might. If you must turn on your location settings, or you really want to check-in on Facebook, I have a few tips for you which I always do myself. Firstly, if possible, do it when you're not at home or at the house of a friend/family member, so you're not giving out personal addresses. Secondly, only check in when you're about to leave your current location. That way, if anyone does decide to come and find you (which I doubt, but it's better to be safe than sorry, right?) you'll be long gone. So what if you're home alone? Last year I went on holiday and did some things I probably shouldn't have done: I tweeted when I was leaving, I tweeted on the fourteen-hour journey (although, honestly, what else was I supposed to do to pass the time?) and I posted photos on Instagram throughout the holiday. That's a bad idea, but it's not as bad as what I used to do here and on my old blog: I used to publish a post a few days before leaving saying something along the lines of "Sorry, I'll be on holiday from the 12th to the 25th, so there won't be any new posts until I get back!" Firstly, people don't care if you're not going to be posting for a week or two. It sounds harsh, but it's true. If you didn't announce it beforehand, no one would have noticed you were gone. Secondly, and most importantly, by doing what I did, you're announcing the dates that your house will be empty to all of your blog followers. Hmm. These are things that we all do, me included, without really thinking about it. In fact, I've done all of these. The blogging world often feels like a safe place to be, but nonetheless, these are still tips that everyone should be following. Do you have any tips for online safety? Thank you, glad these helped! Thank you! Tell me about it. I even considered getting a PO Box but they're so expensive. THIS! All bloggers need to read this post. Seriously though, we need to remember how scary this world is and we need to be so careful about what we share. There was a definite moment of panic when you talked about the location thing on Twitter, but thankfully location was disabled already so the moment passed. It's weird that even though most of the things you mentioned are basically telling people to use their common sense, many people wouldn't have thought of them. Thanks for the post because I think it's definitely necessary. Wow, I never though I'd sound like an over-protective conservative parent, but somehow I managed to. Haha, same here. I thought this post would make me sound paranoid and overprotective but, going by the other comments, it's helped people so that's good! Really great post, and so good to highlight some things that people don't consider. Scary to think about but also really great that you've highlighted this - particularly given the last few months! Great idea to make a post about blogging safety! Thank you so much for reiterating these safety tips that we hear all of the time but usually ignore. I've checked in on facebook with a friend before and her crazy ex texted her asking why she was there. I'm definitely going to use these tips as a reminder to be safe while blogging!